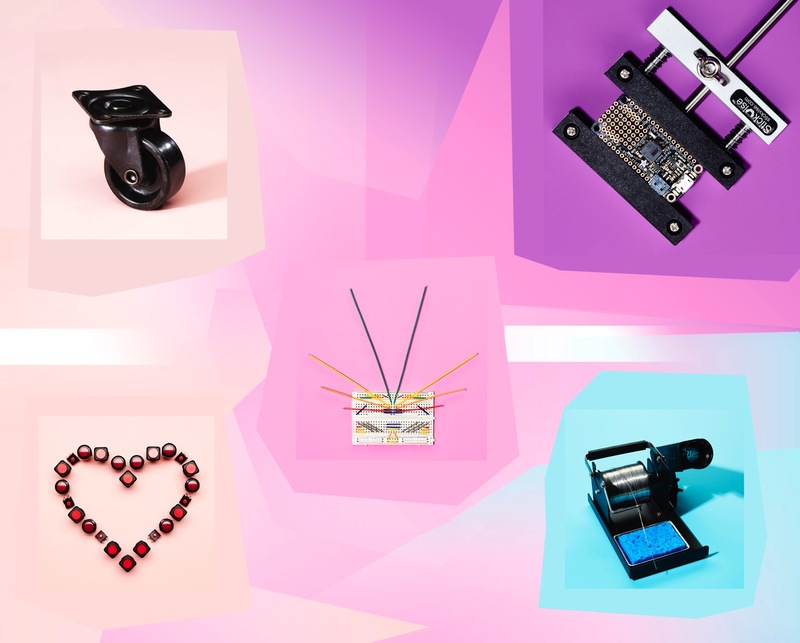 Last Week’s Featured Products « Adafruit Industries – Makers, hackers, artists, designers and engineers! 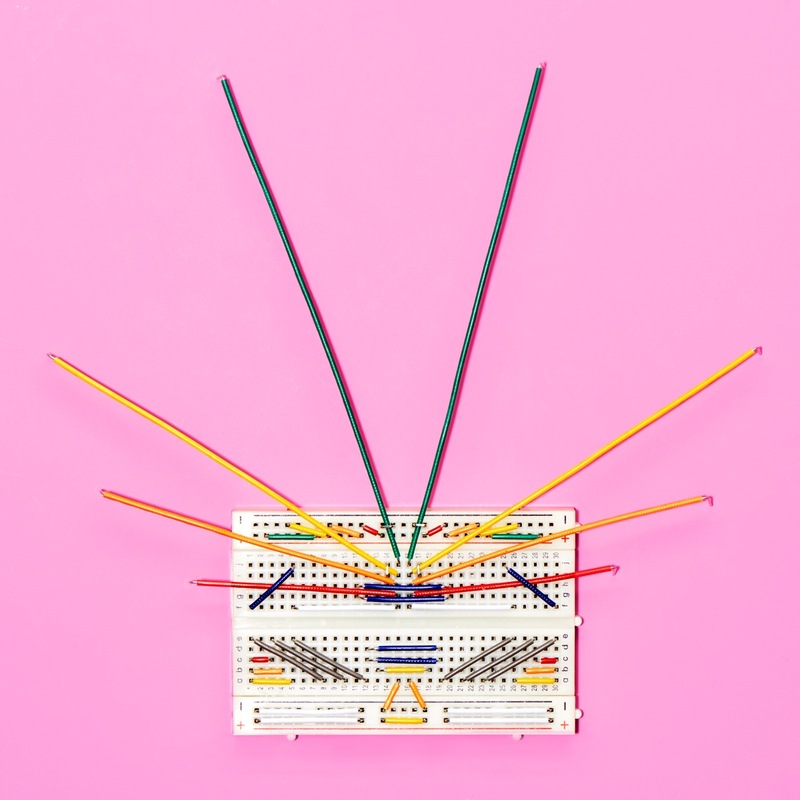 This is a cute half-size breadboard with an assortment of small jumper wires, great for prototyping. Breadboard is 2.2″ x 3.4″ (5.5 cm x 8.5 cm) with a standard double-strip in the middle and two power rails on both sides. Power rails can be pulled off easily to make the breadboard as thin as 1.4″ (3.5cm). The jumper wires are pre-cut and bent in right angles at the ends, so you can choose the appropriate length for your application and plug away without wiring getting messy and out of hand. This bundle is comparable to the one found in our Arduino Starter Kits. We carry a large variety of buttons in our store. Whatever your project needs, big or small, it’s likely the button you’ve been looking for is right here. Check out our buttons category here. This is such a sweet soldering stand, we had to carry it in the shop. 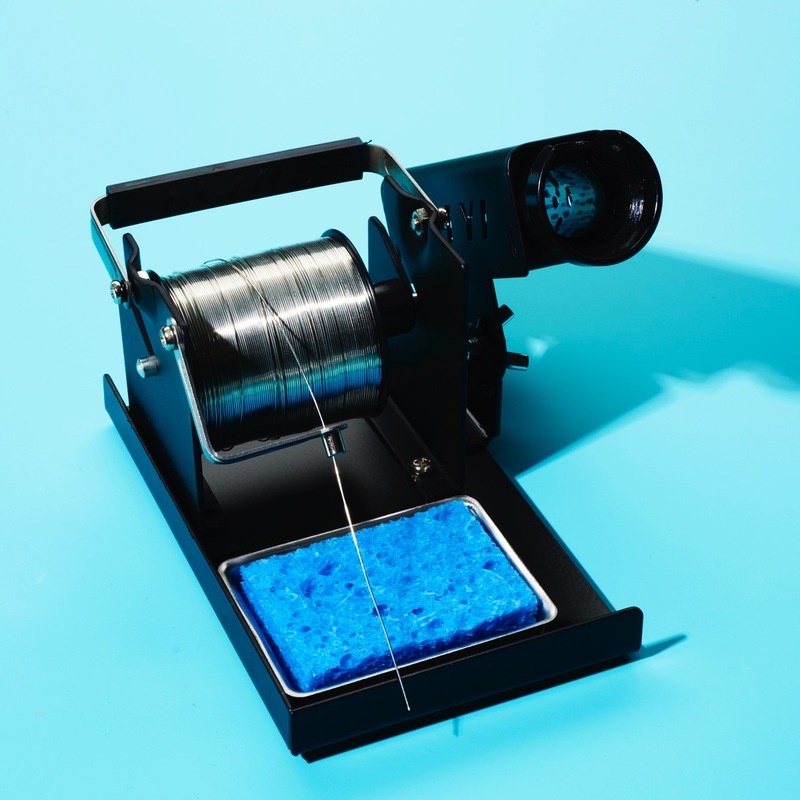 It comes with a nice heavy metal frame, a double-wrapped soldering iron tube to keep your hands safe, a removable sponge and (best of all) a solder roll holder! Upgrade your setup for some luxurious soldering action. Comes with the metal stand, and sponge. Take a few minutes to put together with a screwdriver. Doesn’t include a soldering iron or solder! Fits every soldering iron we could get our hands on, from the high end Metcal to the entry-level “plug and go” models. When your little robot needs someone to lean on, it can lean on this support wheel. 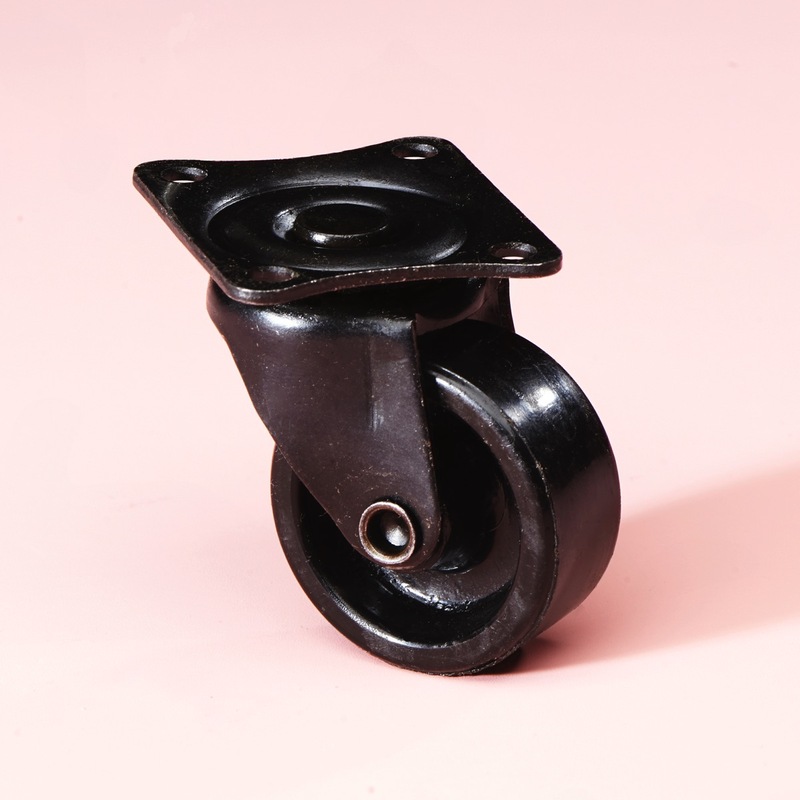 Perfect for use with 2-wheeled robots that need a third-point of support, this Support Wheel comes attached to a mounting plate and with 4x screws and 4x nuts for fastening to any robot or project. It can rotate a full 360° on the plate and the sleek black metal look suits any robot. Note: Wheel mounts may vary in color. Are you still looking for that perfect PCB holder? The low profile PCB Stickvise might be just the thing you need! 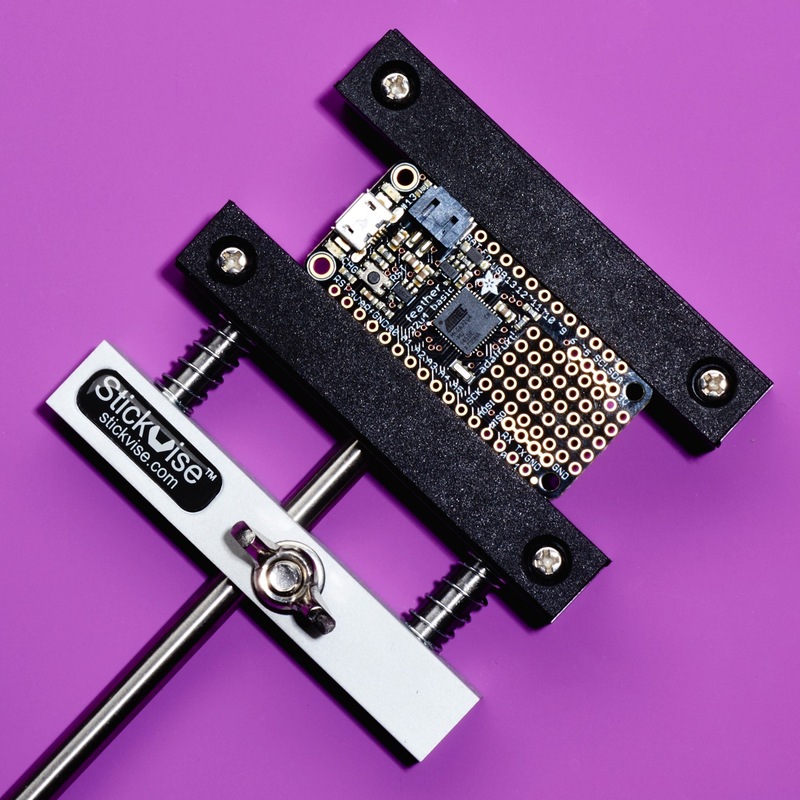 In performing the simple task of holding a PCB near table level, the Stickvise is great because your hands can rest directly on the table, allowing you to steady yourself with minimal effort for fine soldering and probing. The Stickvise also fits easily under a microscope and keeps PCBs consistently in focus. Set the width slightly smaller than the size of your work-piece, compress the spring, slide your PCB into place, and release the springs. Easy, fast, and repeatable. While the design is simple, it doesn’t limit you and is totally hackable. The nylon jaws that come with the vise hold a PCB 5mm or so from the shaft, giving you clearance for most layouts. If you need something a little taller, there are 3D printable designs on the site for taller jaws, jaws with slots to keep cables out of the way, and even High Temperature PTFE Jaws. Hold your PCB flat — give your arms a rest! Stickvise is not up in the air, it holds your circuit board flat so you can solder with stability at table level. Simple design — No half baked features or gimmicks, Stickvise just holds a circuit board in a simple, intuitive way. Hackable — have a special application? 3D print custom jaw plates or choose from many more tested mods to make Stickvise work for your application. Comes with one set of standard nylon jaws.